A happy ending to this, as these things go. A couple of days at the emergency clinic followed by another few at our own veterinary office and he was right as rain. If rain means three weeks of diarrhea, that is. It still looks like butterscotch pudding, I would lament to our vet on the phone as I collected the soiled newspapers from the kitchen floor. Then it has form, she said. That's better. The stinker of it all (heh. stinker) is we had no definitive idea of what he got down the gullet that brought him to this dire state of affairs. 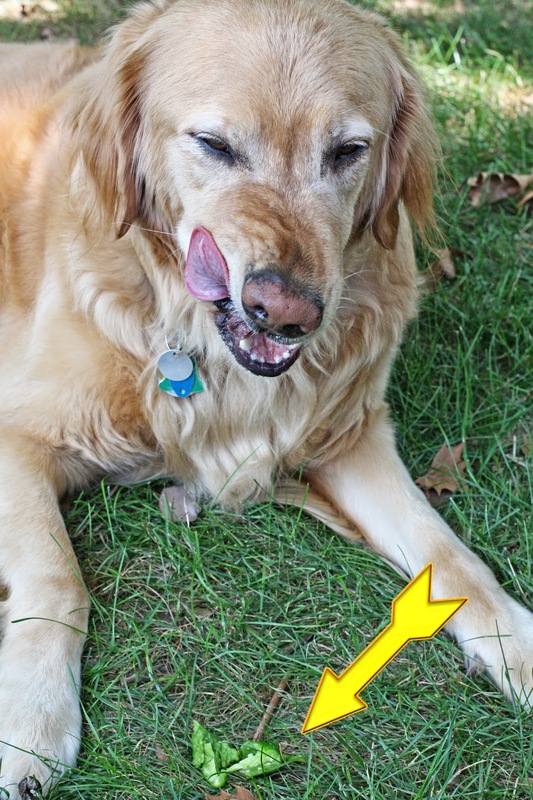 The dog had some sort of weird oral fixation and would swallow anything that could get past his tongue. Anything, y'all. I'm not kidding. Did you see the article this past week passed about the internet from Veterinary Practice News declaring the 2014 contest winners of "They ate WHAT?" No? Well, take a look at what some examples of just how a pet can get your vet's undivided attention. I'll wait here until you get back. Back already? So what did you think when you saw those 43 1/2 socks that defied digestion by the three year old Great Dane? I'll tell you what I thought. This past dramatic event of Jack the Wonder Dog was brought to mind as I caught Micron doing a dine and dash with my patio cherry tomatoes just a few days ago. Hang in there, 'lil tomater. Oh sure, I've heard about the shady history of the tomato, thought for many years to be toxic to humans. But we now know this to be folklore of eons past. But still, the metabolism of a canine is, in many ways, different than our delicate balance of hooman bean gut flora. It's worth a check. Did you know? The ASPCA Poison Control website has a database of plants that are toxic to our beloved pets. A good site to bookmark, y'all. I find that no, tomatoes are not toxic to the mighty Micron and his ilk. A huge relief, of course. But not so fast there, scooter. 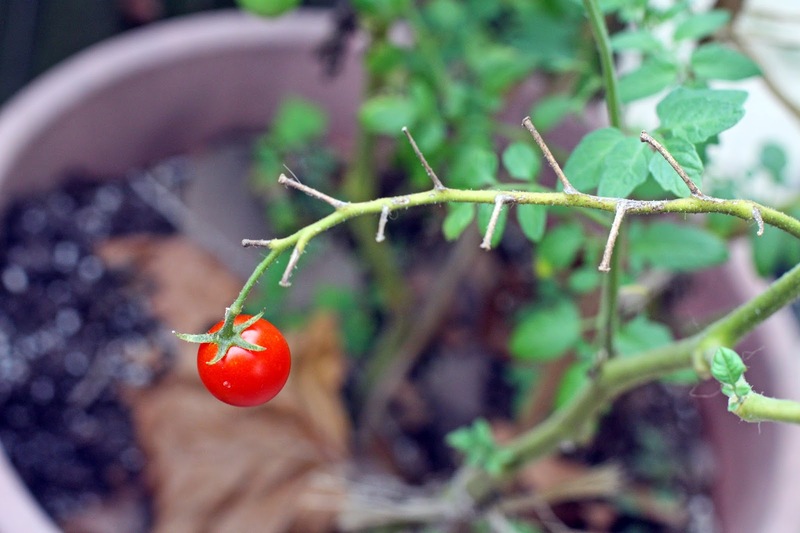 It seems that the stems and leaves of the common tomato plant do indeed pose a potential danger. My goofy dog doesn't have an interest in the tartness of the sticky stems of the tomato plant. Instead he focuses his efforts on the low hanging fruit. You'd think this to be a self-correcting behavior. And you'd be wrong. So wrong. Things are just off the Worry Radar, until later when he moves on to the jalapeno pepper plant. The good news is that, aside from the will-it-burn-twice phenomena, the jalapeno pilfered pepper popper should move smoothly through the golden retriever alimentary tract. Although not recommended, really. To avoid stomach upset and other gastrointestinal distress, up to and including some gas attacks possibly toxic to humans watching television at the end of a tough workday, it'd be best to take away the offending pepper from the noshing canine. Do you need some sour cream to cut that sting?, I ask The Mighty. No, wheezes Micron. I'm good. Right. Copy that, big guy. Enjoy your garden salsa, my veggie stealing dog. Oh yeah ... that's good stuff. 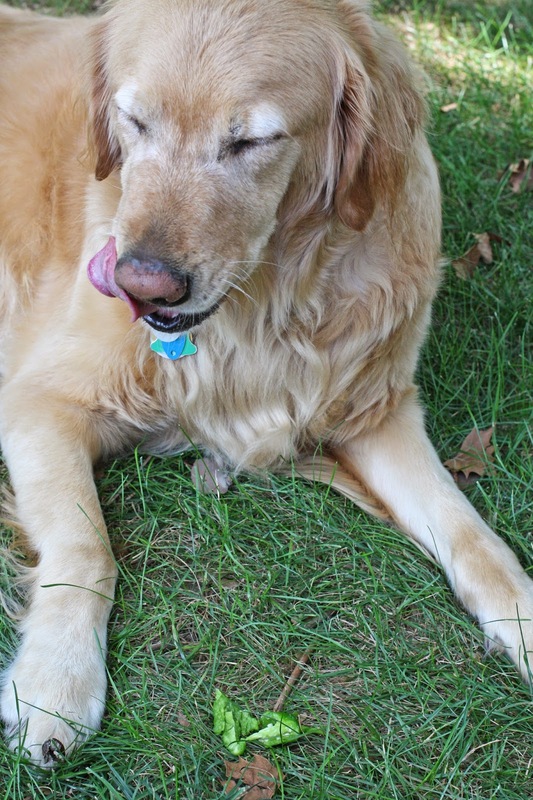 What foods are toxic to your dog? Well, Micron's version of salsa is limited to tomatoes and peppers. Worried about something your pet has consumed? Don't hesitate. Call the ASPCA Animal Poison Control Hotline.